I came to Manila to help launch Niccolo Cosme’s upcoming projects leading up to World AIDS Day 2016. Niccolo Cosme’s annual Headshot Clinic for World AIDS Day would be making its 8th year and that is a very special event in my life as it marks my personal coming out as a person living with HIV. 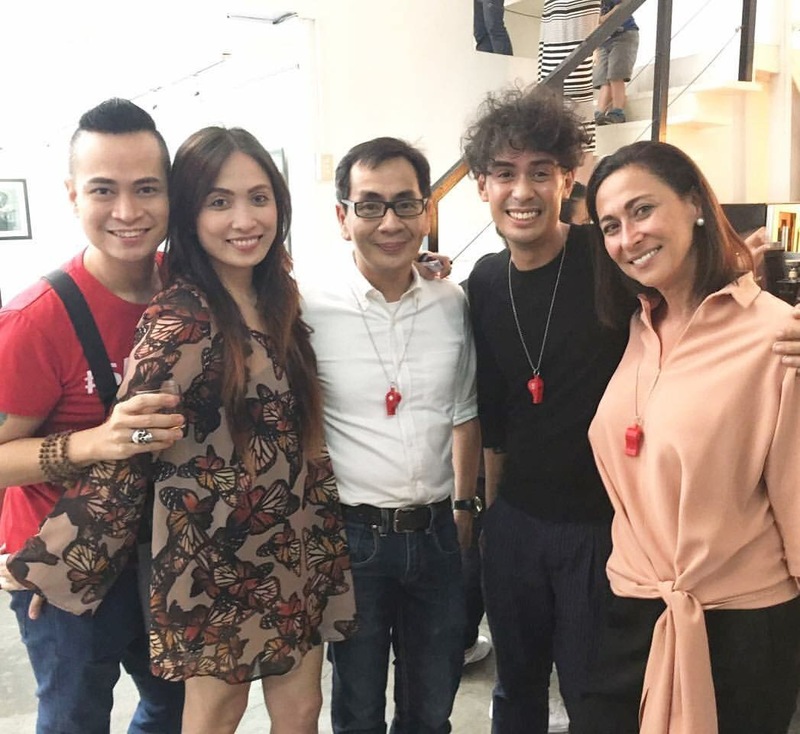 At the same time, The Red Whistle has partnered up with the organization Save The Children expanding the scope of Niccolo Cosme’s humanitarian efforts. I’m very proud of him and I’m proud to be a part of all of Niccolo Cosme’s advocacy work. It was when we began working together on that first Headshot Clinic eight years ago that I was able to turn my diagnosis into something meaningful. Coming out as a person living with HIV turned what could have been a potentially tragic situation into a positive one. Eight years later, Niccolo and I have learned so much as people whose lives were affected directly by HIV. Niccolo as someone who has friends and loved ones who are living with the virus like myself, who is experiencing it first-hand. 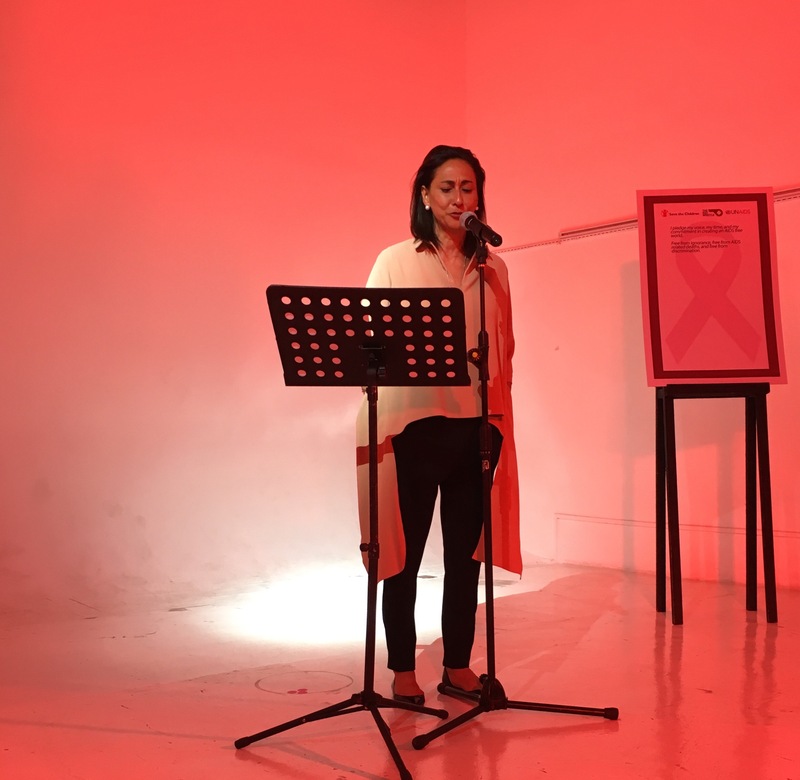 The program began with a performance by Red Whistle ambassador Cherie Gil, who read my poem Beneath My Skin. It was so moving for me because I wrote the piece as a sort of plea but Cherie Gil’s performance was coming from a place of strength. A demand. She gave the piece power and an anger that I couldn’t evoke on my own. I was so touched and everyone was visibly affected. I then shared my story, again, with the context that it has been eight years that we were doing this and there is still so much work that needs doing. Part of the program also included Dr. Kate Leyritana, the doctor who saved my life in 2010, presenting the facts and figures of the HIV epidemic in the country. Ned Olney, the country director for Save the Children, shared the amazing story of the founder of Save the Children, Eglatyne Jeb. It was quite riveting and moving and he opened up the idea of the sort of legacy we were upholding as advocates for a worthy cause. I was deeply moved and inspired. And then the new Red Whistle ambassadors came up to pledge their time and effort to continue raising awareness and spreading information on HIV and AIDS. They include such amazing people like Pam Pastor, Sanya Smith, and Daiana Meneses. I’m also thrilled that John Herrera, Arnel Patawaran, and JC Santos agreed to be new ambassadors. I am huge fan of them and the amazing work that they do. I find myself in amazing company. Each time I find myself wondering if I’ve actually done anything and if there was any point to any of this and then it is events like this that I get my answer. This is important work. And I’ve done my part and I’m still needed in the advocacy. The work is still demanding, often times frustrating, but it is necessary. The work must be done. I’m just happy that I’m not doing this alone.